operation of dual function controls in a dual station application. The dual function DS unit is great for dual station boats without a lot of room on the dash or if you wanted to use side mounted controls in two stations. Just put both levers in neutral, turn the selector switch and you have changed stations. SeaStar Solutions recommends that you only use the 33C cable part number CCX633XX with the DS unit. Allows dual function mechanical controls to be used in a dual station boat. Side mount controls can now be used in dual station boats. 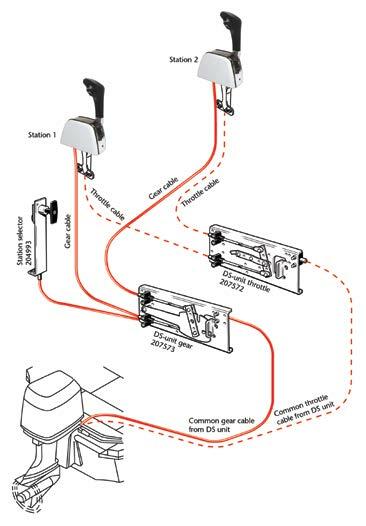 You only require one station selector for both a single engine or dual station boats. 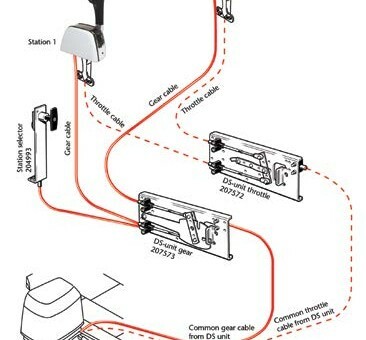 Using the recommended control cables allow smooth control operation.